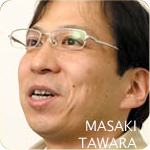 Notes: This interview was published in the April 2007 issue of Nintendo Dream, a Japanese Nintendo-centric magazine, and later adapted into a web-based version, which this translation is based off. Some images and image captions not in the original interview have been added. 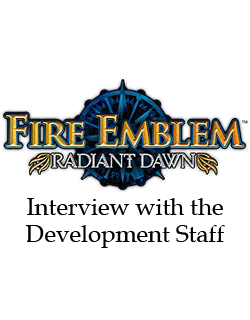 ─The first Fire Emblem game was released back in 1990, and now, with Radiant Dawn we have the 10th installment in the series. ─So, through all these years, what kind of things have you wanted to express with the series? Narihiro: While this is also true for the Wars games, one of the themes behind the series has been to introduce simulation games to a much larger audience. At the time, simulation games were thought to be something that only PC gamers played. Perhaps you could say that adapting this genre, to something that could be enjoyed on home consoles, was the crux behind the creation of the series. With the Wars series, even if your characters don’t have any individuality, you can still just look at the map and enjoy the strategy aspect of the game. In contrast, in the Fire Emblem games, players also raise their characters while enjoying the world of the game. The way the series also features your adversaries, with their own human strengths and weaknesses, is another consistent theme throughout the series. 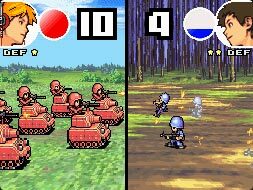 Advance Wars DS (released in 2005 in Japan as Famicom Wars DS) is another game by Intelligent Systems. Narihiro: Although a character may be your enemy, you feel like they are more than just an enemy, and there are even some enemies and battles which make you feel conflicted, saying to yourself: Why do I have to fight them? These are the kind of things we wanted to depict in the series. While I can’t say exactly how closely the average player reads into these things, many of the people who have played our previous games have told us how they’ve felt that whether a character was in your team or an enemy, they were all living their lives, carrying their own burdens and beliefs. In most games, defeating a boss feels like such a casual practice, so I am proud that in this series we have managed to convey a different kind of feeling to the player. In this sense the games are very deep. Even so, the spectrum of the fan base is very wide: Players can enjoy the deeper themes behind the games, but if he or she so wishes, they can just ignore the story and focus on enjoying the strategy gameplay. I think it’s good that there are many ways to enjoy the series. Yamagami: That truly is the case. Being able to enjoy both aspects in this way is what Fire Emblem really is. That’s what I’d like to emphasise as well. As Narihiro-san said, we have continued working on the Fire Emblem games with the desire to introduce as many people as possible to the fun of the simulation genre. The game that’s coming out now, Radiant Dawn, is the 10th game in the series. With it’s gorgeous cut scenes, wonderful soundtrack and grand storyline, where many charming characters make an appearance, it would be great if we could draw in as many new people as possible to this genre. However, because there is such a wide range of customers, we had to figure out many different schemes to try to accommodate all of them. Whether they are the type who enjoys the story, or the type who just focuses on the game system itself, or perhaps even the type who is playing a Fire Emblem for the first time, we wanted to take them all in. An illustration from Radiant Dawn, which has a real sense of movement. For example, when it comes to the package of the game, I think many fans of the series will look at the cover and think Wow, this feels a bit different. For the previous cover illustrations in the series, we have focused heavily on the main characters, but with Radiant Dawn, we have a cover with motion. We used an illustration that appears to have a sense of movement to it. This is something that we hope will draw the customers more directly into the world of the game, making as many people as possible pick the game up. If we can get people who haven’t yet played a previous entry in the series to give it a try, I think it would be quite a pleasant surprise. 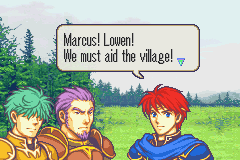 ─Around when did Radiant Dawn’s development begin? Yamagami: This may become a bit of a long winded explanation, but the Fire Emblem games were originally released on the home consoles, right? Even though there have now been games released on the GBA, from our point of view, we strongly feel that the games are ideally enjoyed at one’s own pace, in front of the TV screen. Of course, we understand that with the Game Boy, there is the freedom of being able to easily play wherever you wish, but even so, considering the grand worlds that the games are trying to convey, we feel that the games really should be savoured on big screen TVs instead. However, after the GameCube was launched, development costs rose steeply, and the kind of budget needed to present the players with these kind of grand worlds became harder to obtain. 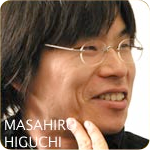 It was then, when the decision was made to move the series to the GBA, that Narihiro-san told me: I want the series to return to the TV screen once more. Let’s make it our five-year objective. In order to achieve our goal, the decision was made to create content that could sell worldwide. We thought that doing this would help us eventually return to the home consoles. ─Up to the release of Sword of Seals in 2002, no Fire Emblem game had been released in the West. 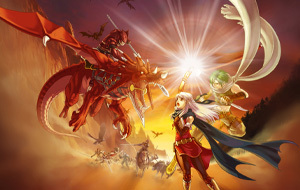 The second Fire Emblem for the GBA and the 7th title in the series, released as simply Fire Emblem in the West, received international praise. Yamagami: That’s right. Though we made three Fire Emblems for the GBA, it was because of the second game’s definite success abroad that the series could return to the home consoles in the form of a GameCube game. In the period when Path of Radiance was released, you could say that the GameCube was already on its deathbed. Even so, we still managed to sell hardware with it. In other words, it became even clearer that the series had the power to boost hardware sales. The Wii was already releasing next year, so there was discussion about releasing the next game as close to the launch as possible, so that its effect on hardware sales could be maximised. That was how the Wii was chosen to be the platform for Radiant Dawn. Of course, when Path of Radiance was released, we felt that we had finally returned to the home consoles, and thus naturally had no intention of ending the story with only one title. Instead we kept on expanding the game’s grand world. 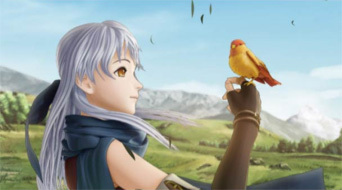 That’s why, to release the next game as close to the Wii’s launch as possible, the development of the next game was commenced straight after Path of Radiance came out. 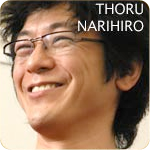 Narihiro: If I remember correctly, the development began in May 2005, so all in all, the game took about two years to make. ─It was in May 2005 that the Revolution (Wii’s codename) was announced, wasn’t it? Narihiro: Yes, but of course at the time we didn’t have any development kits. (laughs) So, thinking if we prepare something on this level, the Revolution should have no problem running it, we went ahead with development, raising the quality of the game as our priority. 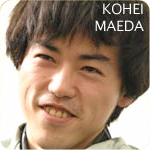 Maeda: We were very worried about how well our programmers were doing. ─So you never considered releasing the game like Zelda, for the GameCube and the Wii at the same time? Narihiro: It wasn’t possible. The game’s graphics were improved to such a degree that the GameCube couldn’t run it. Of course, the Wii is more powerful than the GameCube. If we had made the game so that the GameCube could run it, we would have ended up not using the extra horsepower of the Wii. When this FMV was shown during the 2006 E3 press conference, Western game journalists cheered. Some people were trying to apply the brakes, saying that since making a game for the GameCube already cost that much, it must be even more expensive on the Wii. But I told them that If you think money is a problem, let me handle it. And with that, development began for the Wii. 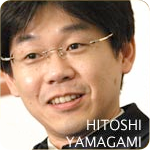 ─So from the very beginning, your intention was to make the game for the Wii, and you never considered the GameCube? Yamagami: That’s right. We never considered making it for the GameCube.